With the JobWatch system from BigChange, Flow Free has achieved 40 percent annual growth with an actual reduction in office administration resources. The 5 in 1 BigChange solution combines customer service (CRM), job scheduling and invoicing software with real-time vehicle tracking and smartphone apps. With a fleet of 18 vehicles and a team of field service engineers covering mainly the South East of England, Flow Free maintain and repair drainage systems. 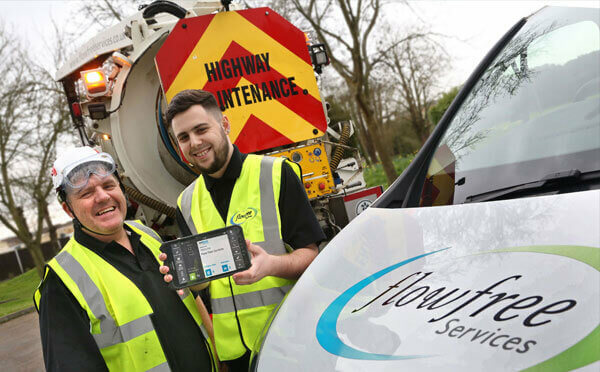 Flow Free are part of Property Consortium Drainage, a network of drainage specialists undertaking insurance-related work. Operating from new headquarters on the Hertfordshire-Essex border, the company also has national contracts with major retailers and land owners. Operating 24/7 year-round, Flow Free work to stringent Service Level Agreements with guaranteed fast response times dealing with burst pipes, blocked drains and leaks causing disruption and damage to premises. Flow Free has expanded into building services in order to undertake remedial and other maintenance work for clients. Using the BigChange back-office Flow Free log incoming calls on the CRM for optimised scheduling of the most suitable resource by skill, equipment and location. Work is further complicated as different clients have different SLA’s. JobWatch has also helped speed up quotations and invoicing. As Job Sheets are completed by engineers onsite, the office is immediately notified of any additional service requirements and quotations are raised with 24 hours; less if the material requirements are simple. Flow Free is also using BigChange to improve its environmental and safety credentials. 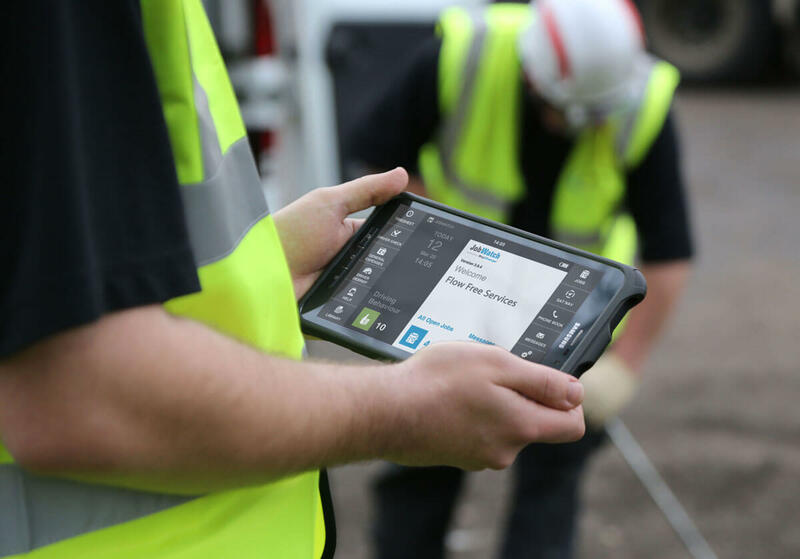 With vans clocking up 40.000 miles year, the BigChange tracking devices are providing valuable data to reduce fuel consumption – and the carbon footprint – through better job planning, route optimisation and better driving.